I was asked to make some masculine cards and went through my stamps and was suprised at how many masculine stamps I had! I could actually do more! lol. 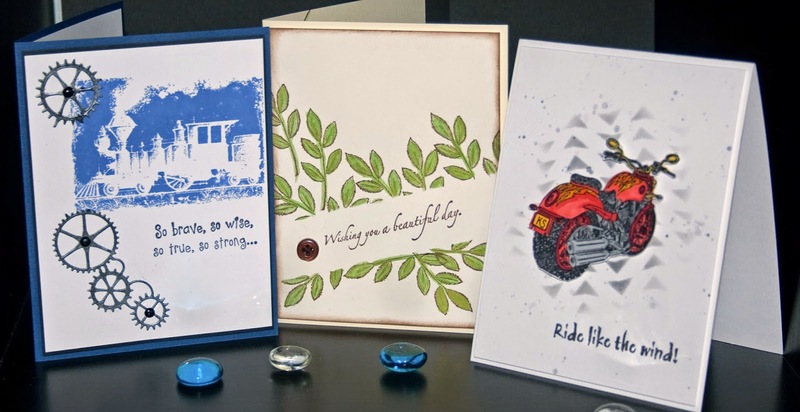 The motorcycle card is my favorite with the stencil background. These cards will be featured in the next Art Party at Latte Luna! You can click on the Art Parties/Class on the toolbar above. Hope to see you at the party....they really are a lot of fun! Fun time of fellowship, friendships (new & old) and creative time!